When we study religions, comparing them, we find that part of the world has believed in reincarnation, but most of the world has not held this belief. Krishna, Shiva, and Buddha are said to have taught the doctrine of reincarnation; Moses, Christ, and Muhammad have said nothing about it. This divides religions into two groups; but when we make a deeper study we see that we can combine the two, for the tendency of the Sufi is rather to unite than to differ. There are four widely spread religions, Brahminism, Buddhism, Christianity, and Islam, which have great influence upon humanity through their diffusion. Let us ask each what it has to say on the matter. Islam is silent on this subject; Christianity says nothing. In their scriptures if there may rarely be a verse which supports this idea, there will be ten verses which disprove it. What has Buddhism to say about reincarnation? It says that as the world is in evolution, we shall by no means become animals, but evolve into higher and higher incarnations until we have overcome all weaknesses and have reached Nirvana, perfection; then we return no more. By this we see that there are only two believers in reincarnation, and even these two have contrary beliefs. We read in the Bible (John xiv. 3), I will come again and receive you into myself,' and (Acts i. II), 'This same Jesus, which is taken up from you into heaven, shall so come in like manner as ye have seen him go into heaven.' This does not refer to the person of Christ, but to the innermost being of the Master, which was in reality the Being of God. If it concerned his person he would have said, 'I shall come, but you also will come again, either in a better condition or in a worse state of being,' but nothing of the kind is said. One might say, 'Why then did the Master say 'I'' why did he not clearly say 'God?'' The answer is that divine personality is the losing of the thought of one's limited self, the absolute merging into the divine and only personality; then the ego becomes the divine ego. The 'I' is not identification with the limited personality but with the personality of God. When Christ said 'I' he meant God. One reads the same in the Masnavi of Jalaluddin Rumi, 'Seventy-two forms I have worn and have come to witness this same spring of continual change.' This also refers to the divine Consciousness which wears various forms and comes to witness this world of changes; it is not the seventy-two comings of Maulana Rumi himself. Seventy-two is symbolic of many; otherwise it would mean that since the human creation the divine Consciousness visited the earth only seventy-two times, which would be very few times for such a great length of time. In the Gospel we read (John ix.1-3), 'And as Jesus passed by, he saw a man who was blind from birth. And his disciples asked him, saying, Master, who did sin, this man, or his parents, that he was born blind? Jesus answered, 'Neither hath this man sinned, nor his parents: but that the works of God should be made manifest in him.'' This needs no interpretation, for it plainly says that the man's blindness was not the punishment for his former sins. In the Quran it is written, 'It is He who multiplied you on the earth, and to Him shall you be gathered.' This denies a return to earth. Mention is made, however, of another life in that sura. 'Every soul must taste of death, and ye shall only be paid your reward in full on the resurrection day.' Here the resurrection is spoken of, the making alive of the souls without the physical body, and it is plainly said that this existence will be as clear and distinct as is our life on earth. As the world advances in intellectual development it becomes more and more interested in novelty; whatever is new is taken up and often the new idea is accepted and followed. The idea of reincarnation has made a great impression in the present age, because it appeals at once to the scientific faculty and reasoning natures and it also satisfies those who wish to keep a fast hold on their individuality. I remember, when at an early age I first knew of death, how for hours I was sad, thinking, 'This, my body, the only means of experiencing life, will one day be in the grave. I shall be away from all things and beings that are the interest of life to me today. This whole environment which interests me and keeps me engaged all day long will one day be a mist; neither shall I see anybody nor will anybody see me; all whom I love now will one day be separated from me.' Now my own experience in the past clearly tells me how others must feel at the idea of turning into what seems nothing after being something. It is just like when a dream interests us so much that if we wake up in the midst of it and realize at once that we were dreaming, we yet like to close our eyes again and give ourselves up to the enjoyment of the experience. Such is the case of all those who are so much interested in the dream of life that the idea of death, which is a more real state of being, is horrible to them. They would rather live a life unreal but individual than a life real but unrealized. The idea of reincarnation often comforts those who think that it is too soon to renounce the pleasures of life in order to commune with God. 'Perhaps,' they say, 'in our next life on earth we shall achieve what we have not achieved in this.' Also, it consoles those people too who have lost their loved ones, for they think these are not lost forever, but will be born again, and often they look for them whenever a child is born among their acquaintances. It consoles those people too who have not obtained the fruit of their desires in this life and have always longed and hope for something which they could not get; these build their whole hope on gaining it in their next incarnation. 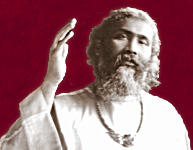 This idea often becomes a great hindrance to real spiritual attainment, though it is helpful to a person who is discontented with his life, suffering from pain, poverty, or illness, and who thinks that it is his Karma to suffer this and that, but that when he has paid the uttermost farthing his circumstances will change. Then he has no more complaint to make; though he knows he has not in this life committed sins worthy of such punishment, still he thinks that there is justice, as he has perhaps sinned in his past life. The idea seems reasonable, especially to a person who looks at life from a practical point of view. Every man weighs the world on his own scales. And the thought of reincarnation is still more helpful to those who do not believe in God or know his being, also to those who neither believe in everlasting life nor can understand it. For some people it is very consoling to think that they will come to this earthly plane again and again, brought there by their Karma, rather than to think, as many materialists do, that when we are dead we are done with forever. The reason the doctrine of reincarnation was taught to the Hindus and Buddhists must have been that the people of India at that time were very highly developed intellectually, in philosophy, in science, in logic, in the material phenomena, and believed in law rather than love. In the present age, especially in the West, people are now beginning to search for truth by the light of science and logic, as did the Hindus of the Vedic period. The peoples of India were working along the same lines as the origin of Brahminism and still more in the time of Buddhism. Then, especially among the Mongols, a people most advanced in arts and sciences, the enlightened were very logical and scientific, with little devotional tendency, and the masses had innumerable objects of worship. There the average person could not conceive the idea of the soul, the hereafter, and God as it was propagated in another part of the East by the Hebrew prophets, so the theory of reincarnation was the best means of appealing to their reason instantly in order to break their former ideas. But as it is the nature of the human heart to worship someone, naturally their worship was directed to Buddha. There is every possibility that this idea came originally from the Devata, the divine messengers born among the Hindus. Each of these declared that he was the incarnation of the Brahma, God, and each in turn claimed to be the reincarnation of the preceding Deva, whom he succeeded. In claiming to be the incarnation of Brahma or the Deva they succeeded, they did not mean that in their guise God was born or their predecessor reborn, but that they had realized God or that they possessed the same knowledge and mission as their predecessor. When the others asked them, 'Of what are we the incarnations?' they were obliged to give them some explanation of like kind, and they told each one that which his condition of life suggested to them. When the four Varnas or castes were made in India, Brahmin, Kshatriya, Vaishya and Shudra, these were not in fact different castes but classes. The whole administration was arranged in this way: Brahmins to study, meditate and be worshipped, Kshatriyas to fight and guard the country, Vaishyas to carry on commerce, and Shudras to labor and serve. None save Brahmins had Adhikar, the right to study the Vedas, the books of mysticism and philosophy; even Kshatriyas and Vaishyas had to be content with the worship of the Brahmins and with the Purana, the religion taught in legends; Shudras, the laboring class, were denied even that. It has always been the tendency of the stronger and more intelligent men to keep the weak and simple down. Owing to the inclination of the higher caste to keep itself pure from further admixture of the lower classes, a religious rule was made enforcing the belief that the Shudra, the lowest, could not become a Vaishya, the Vaishya could not become a Kshatriya, nor a Kshatriya be admitted among the Brahmins, the highest and supreme class of the time, unless by his good actions he had made it possible that he should be born, in the next incarnation, in a family of the higher caste. The idea of reincarnation, as a belief generally held, was made the basis of the Hindu religion, upon which the whole building of Brahminism was erected. But everyone in the world has an inclination to raise his head and climb up higher, if he can, from that level upon which he may have been set in life. Verily the light of truth, the beauty of nature, the desire for freedom, the idea of unity cannot be covered up; sooner or later it flashes forth. Looking at the wheel of evolution we see that we do not always rise, we also fall, we do not always become better people, sometimes man grows worse than he was. The nature of evolution is like a wheel turning round, not rising always. This gives us reason to doubt how far the Buddhistic idea of better and better reincarnations can prove to be logical. If we believe in this idea we must first understand where evil ends and where good begins. It has never been possible even for a deep thinker to draw a line between good and evil. What distinction do we then find, from this point of view, between good and evil, if we look at it closely? None but the difference of degree and difference of point of view. What seems good to one person to another does not, and so it is with evil. Also every evil to the eye of the seer is a lesser good, which in comparison with the greater good appears different from that and so is called evil. And if the wheel of births and deaths depended upon cause and effect, I should say it would have to go on forever and ever and there would never be an end to it. According to this doctrine, not only the punishment of our sins, but even the reward of the good we have done would drag us back to earth; we should have to come back to earth in any case. Even should we not wish for a reward we cannot stop the wheel, for we have no power over nature's law. What a helpless condition! Neither does God intervene in our affairs, that He might stop it with His all-might, nor can we, helpless human beings subject to the law of cause and effect. Again, we see that everything existing can be destroyed by some other thing or substance. There is no stain that cannot be removed by some chemical solution. There is no record which cannot be erased from the surface of the paper; even if it is engraved upon stone it can be scraped off. Man, the master of the whole creation, has found the means to destroy all things; and it is very astonishing if he is unable to find a solution to wipe off the impressions of Karma, life's deeds, so as to escape the wheel of births and deaths, when he professes to know all things of the earth and claims to have solved all the mysteries of the heavens. Some believers in God say in support of reincarnation, 'God is just. There are many who are lame or blind or unhappy in life, and this is the punishment for the faults they have committed before, in a former incarnation. If it were not so, that would be injustice on the part of God.' That makes God only a reckoner and not a lover, and it restricts Him to His justice like a judge bound by the law. The judge is the slave of the law, the forgiver is its master. In fact we ourselves, limited as we are, have mercy in us, so that often if someone has done something against us we would forgive. If he only bows before us we say, 'He has humiliated himself, I will forget.' Even if a son has caused his mother much sorrow, when he is in trouble, he only needs to say, 'Mother, I have done this, but you are the one to whom I can come for sympathy,' and she will say, 'My child, I forgive you, though at the time it made me sad.' If we, who are full of faults and errors, have in us that little spark of mercy inherited from God and can forgive, how can we think that God, the most Merciful, will reckon our faults like a judge? We are as little children before Him. Regarding God as a personal being, how can we think that He, whose being is love, whose action is love, who is all love, can weigh our actions as a judge would? A judge, when someone is brought before him, after he has looked into the case, says, 'I have looked into your case and I find that you are guilty. You are given six months,' or five years,' or ten years' imprisonment. Your crime is very grave and so you must learn not to do it again.' But if we go to the blind and lame and ask them, 'Were you given this in punishment? Were you told so?' they say, 'No, we were told nothing.' Now how are we to imagine that God could be so unjust as to punish them and yet not tell them of their crime? If we return, then every child that is born should know what he was before. If only exceptional ones feel that they know what they were before, in another life, then it may be a delusion, a pretense, or a scheme for gaining notoriety by appearing to know what everybody does not know. If God is most merciful, how could He govern us only by law devoid of love and compassion, when even we as human beings forget and forgive another's fault in spite of law, reason, and logic, when moved by love, our divine inheritance? God is love, not law. Love in its lower manifestations turns into law by forming habits, yet it is not law which rules love, it is love that controls law. The idea of forgiveness is the result of our idealizing God. As we idealize God so He proves to be. Sometimes the sins of a whole life may be wiped off in one instant; sometimes all the virtue and piety of a whole life may be lost by one sin. A story is told that Moses was going to Mount Sinai and on his way he met a very pious person, who said to him, 'Moses, speak to God of me. All my life I have been pious, I have prayed to God, and I have had nothing but troubles and misfortunes.' A little later Moses met a man sitting in the street with a bottle of liquor. He called out, 'Moses! Where are you going?' Moses said, 'To Mount Sinai.' The man called out, 'To Mount Sinai? Then speak to God of me,' for he was drunk.